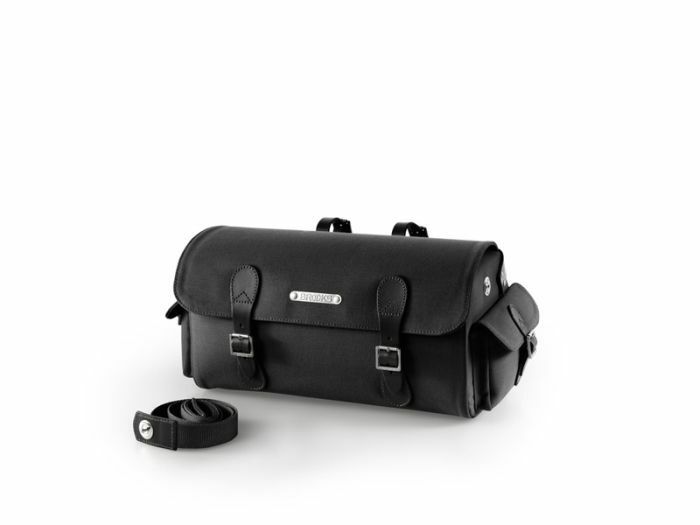 The Glenbrook saddle holdall is the companion to the Millbrook, based also on a Brooks design from the 1950's, but updated with bluesign® certified textiles, geniune Brooks Leather, and a handy leather-trimmed strap. The Glenbrook sports two further side pockets for easy access to your wallet or communications device. 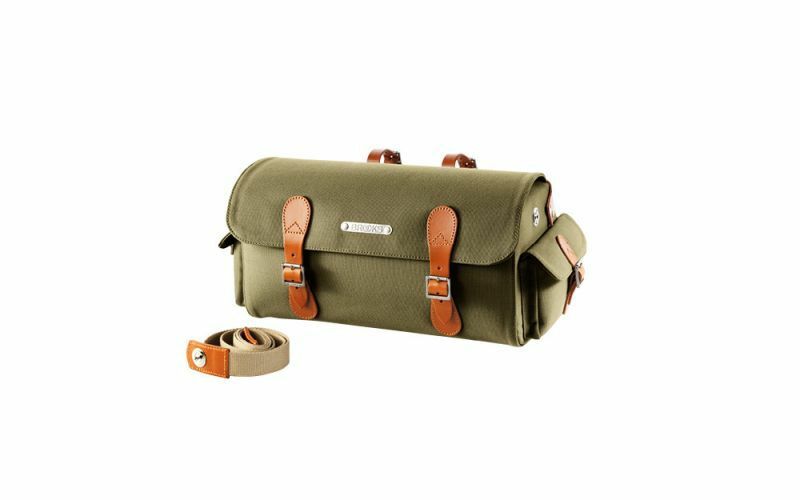 The large main compartment is perfect for tools, an oil can, a light jacket, newspaper, or a picnic lunch, offering style and function in equal amounts.